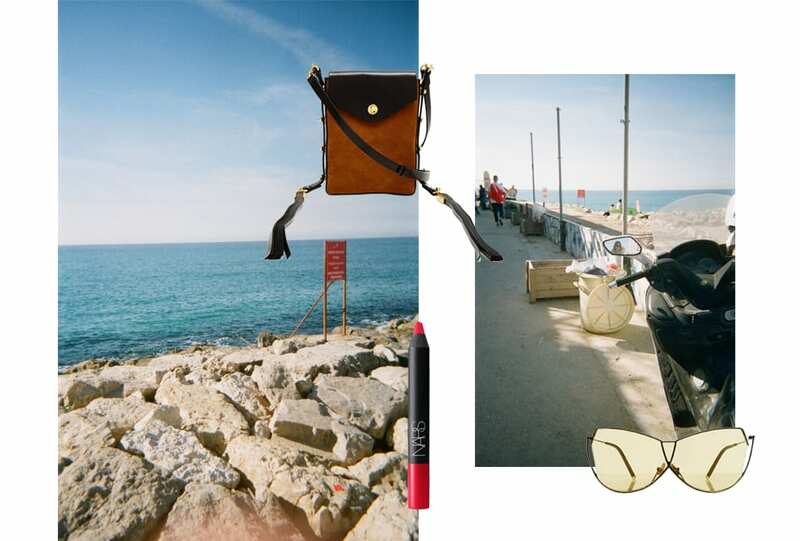 1/5 From left: PHOTOGRAPHY Bridie Gilbert; Yaniv Edry: Tel Aviv-Haifa; SOUTHWEST TRADER ring; MIU MIU jacket. 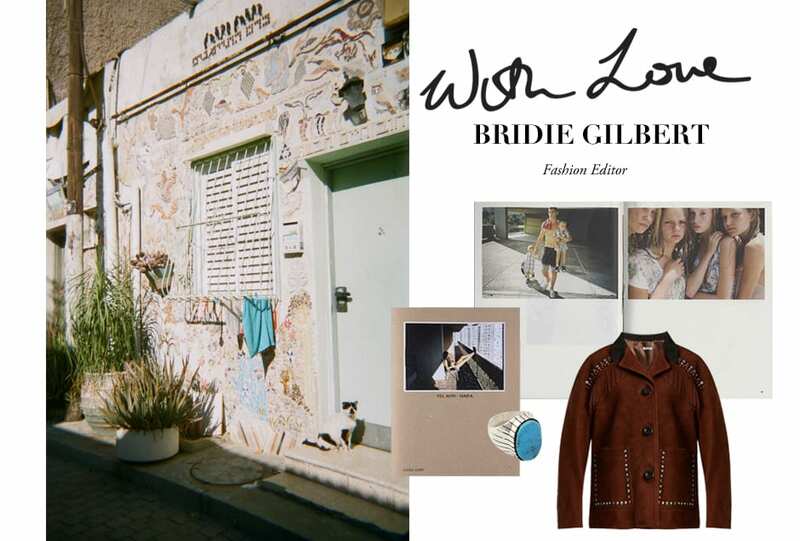 From the magic of Israel’s natural flavours to the local designers to know – RUSSH Fashion Editor Bridie Gilbert gets lost in the streets of Tel Aviv. At Brown TLV Hotel. Simple luxury in the heart of Tel Aviv’s urban center, between the Neve Tzedek quarter and Rothschild Boulevard, and a short walk to the beach offering stylish bedrooms and a vast sundeck to watch the sun set (or rise) over this beautiful city. 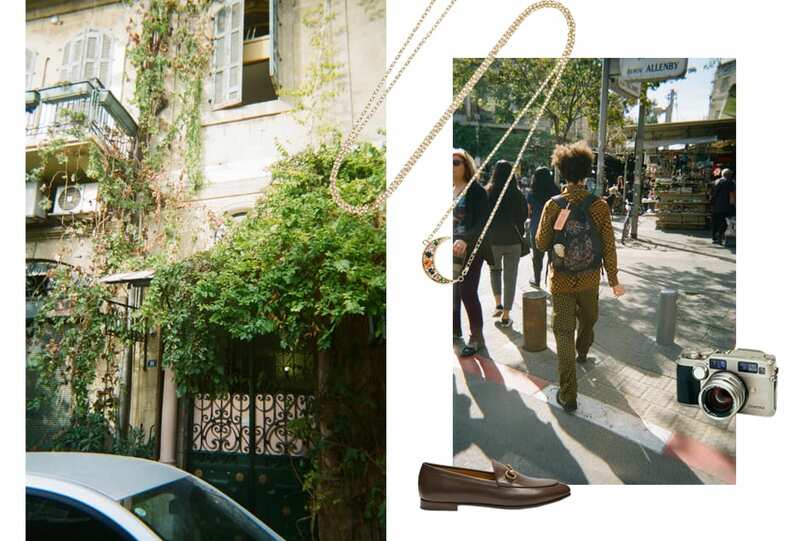 A J.W.Anderson’s sleeveless knit dress and classic leather loafers from Gucci to explore marketplaces, galleries and wander through the never-ending streets full with shops of hidden treasures waiting to be found. 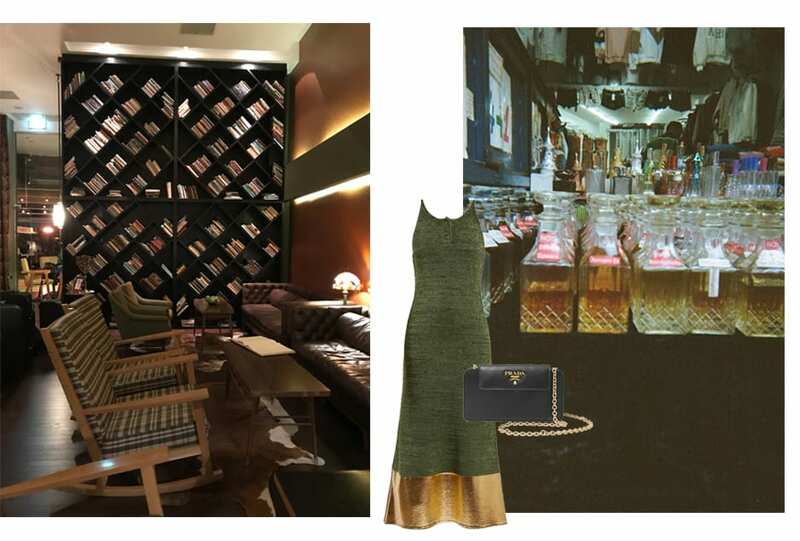 As night falls you will want to stop by Port Sai’id, a local meeting spot with great cocktails and good music – Miu Miu’s suede fringed jacket makes the perfect addition. Cafe Levinsky for good coffee, the specialty here is the magic gazoz flavours created using fresh herbs. With no real place to sit except a truck parked on the side, this is a quick stop before making your way on to Carmel Market. CoffeeBar is another spot not to be missed. Local spot Teder is a pop-up bar serving pizza and jugs of beer with guest DJ’s in an unpretentious setting, and A La Rampa is great for casual drinks and dinner in an industrial neighbourhood called Kiryat Hamelaha – home to artist studios and galleries. For the foodies out there, Claro by Chef Ran Shmueli’s is more of a farm-to-table experience. 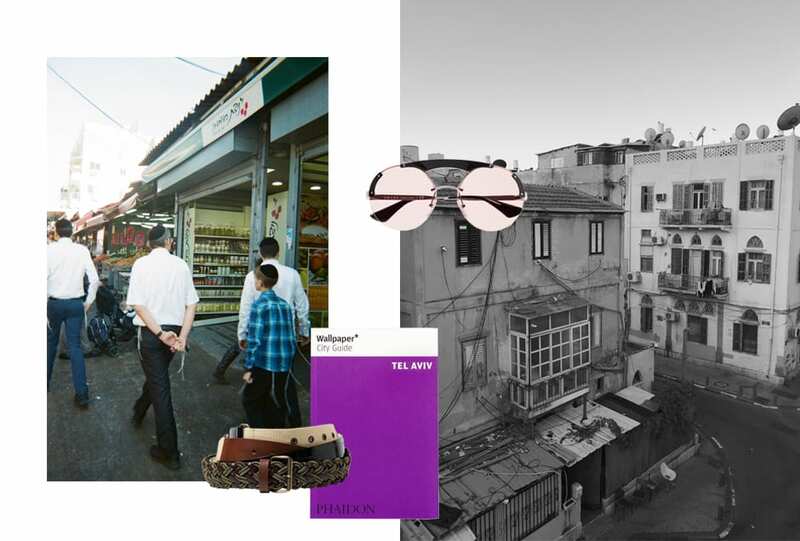 After Neve Tzedek, the “it neighbourhood” right now for shopping is Noga, at the entrance to Jaffa (or Yafo) where many designers live and have their studios and shop fronts. 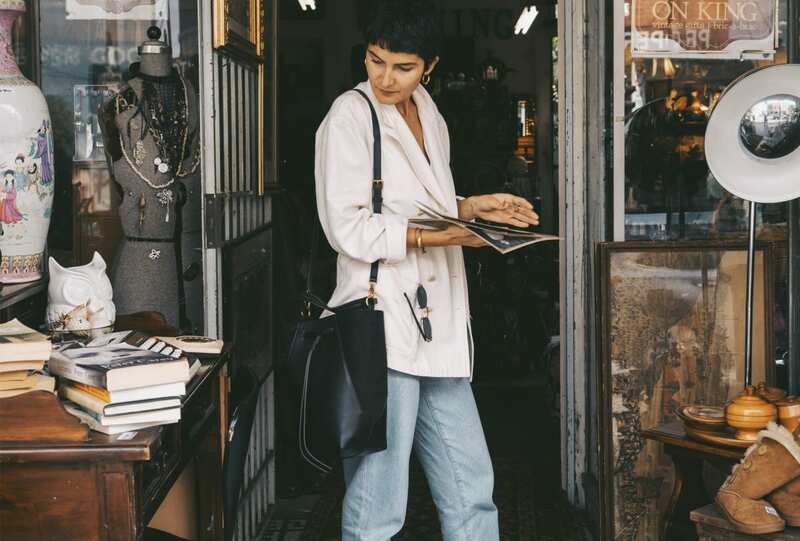 Tel Aviv in general is a shopper’s paradise, but a few notable mentions are BoBo, Re-Pelle by Naomi Maaravi and local designer MAREI1998. Walk everywhere, and don’t leave the hotel without a small film camera. These are memories you will want hard evidence of.